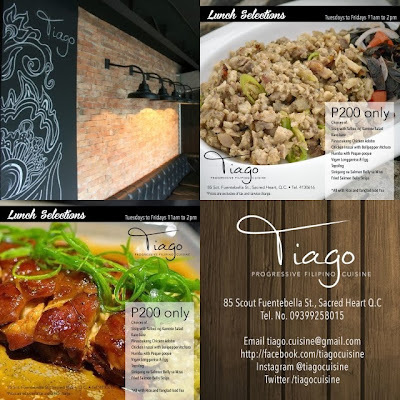 Tiago is a new hip restaurant in the Tomas Morato area of Quezon City serving traditional Filipino meals from different regions of the Philippines. 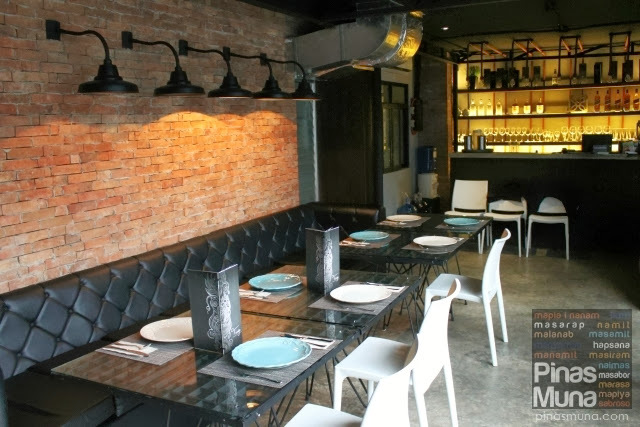 The restaurant had its soft opening in early September, and barely two months after, Tiago has been getting more and more attention from foodies in Metro Manila. The owners describe their cuisine as progressive. Many restaurants make their mark by creating and marketing a signature dish. Such practice has no place in progressive cooking. Our dishes and recipe constantly evolve, that's progressive cuisine, says Sigrid Aragona-Buendia, one of the owners of the restaurant. Progressive cooking definitely fits in today's era when people can instantly change their taste in food overnight and are in constant search for something new. All dishes at Tiago are served for sharing. Filipinos love to eat, and we love to eat in a group of friends or relative. 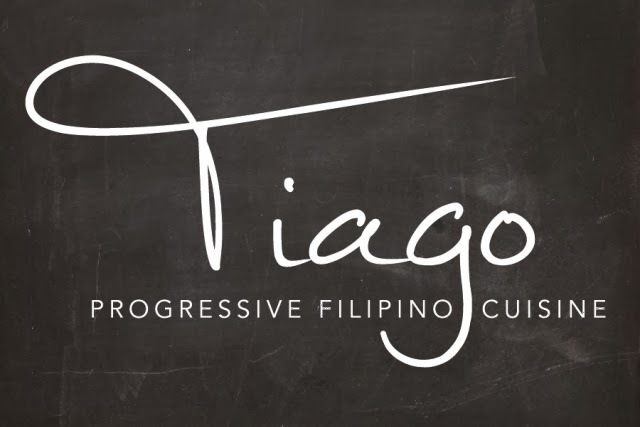 At Tiago, the Filipinos' love for eating is showcased through its menu of flavorful Filipino dishes. 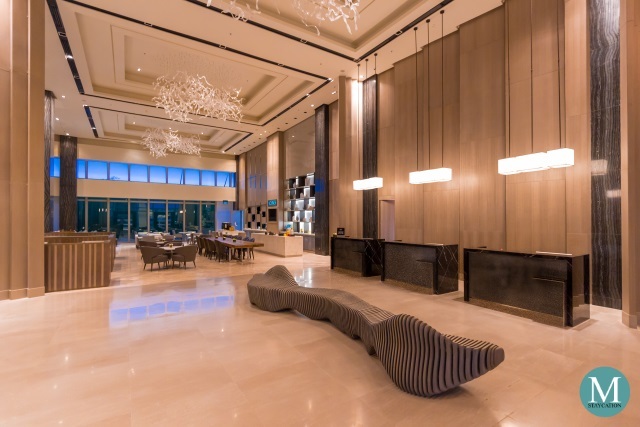 Another detail that diners will notice is that main dishes are always served with sauces, side dishes or salads. Isn't this is how we Filipinos eat? From the very simple salted eggs to the festive lechon, we always pair our food with sliced vegetables or with our regional favorite sawsawan. Here's what we had for lunch at Tiago. First to be served was the Chopsuey Salad. 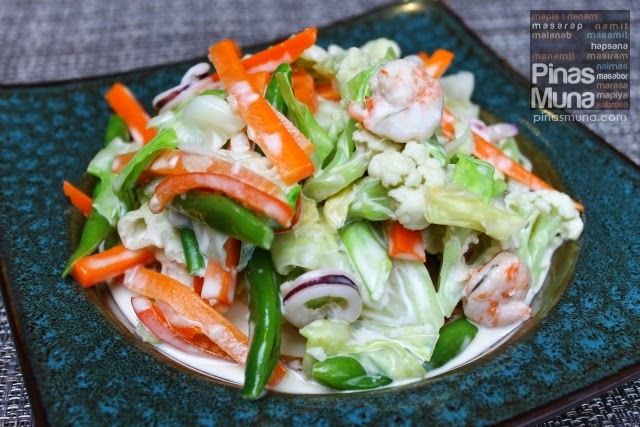 It's basically a salad of fresh vegetables you would use as ingredients for chopsuey. There's cabbage, carrots, baguio beans, and cauliflowers. Cooked shrimps and rings of squids are also added. The white dressing made the salad taste really creamy. The salad was very appetizing and refreshing to the taste. We really enjoyed every bite of it, especially the cauliflowers. Next was the Inihaw na Tilapia Roll, a dish I associate with Central Luzon. In Pampanga, grilled freshwater fish such as tilapia or hito (catfish) is served with mustasa leaves and buro (fermented rice) as a dip. 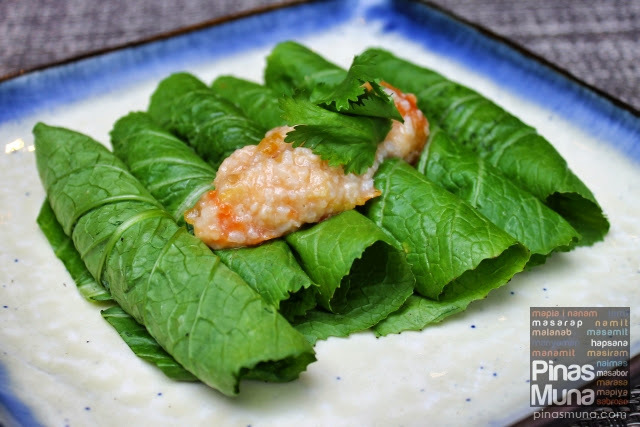 Traditional way of eating this dish is to place a small portion of the fish meat and buro on a mustasa leaf and folding it into a bite-size pocket. At Tiago, this dish is served as rolls instead of pockets. Now, let's talk about the buro. Some may find its sour taste too exotic or even awful. But just like the bagoong, liking the buro is an acquired taste. 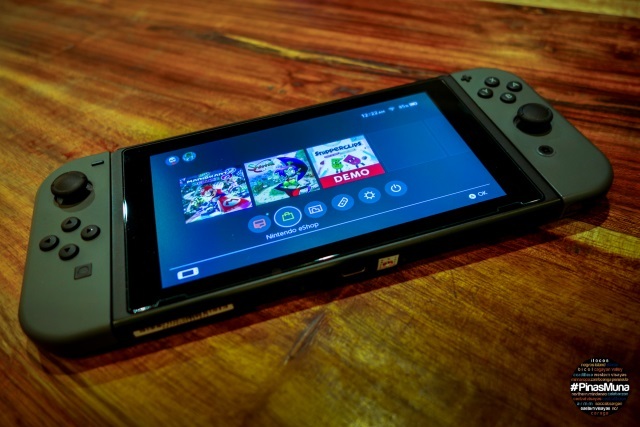 It also has different variants. There's the plain buro made solely of fermented rice, the most sour of all variants. Then there are the burong isda and burong hipon which basically plain buro mixed with ground fish or shrimps, respectively. Their taste is not as strong as the plain buro and are ideal for those who will try buro for the first time. Tiago uses burong hipon for this dish. I am not a big fan of buro, but I don't mind its taste. For this dish, I recommend that you try it with buro. You won't experience the authentic taste of the dish without it, believe me. Just to be safe, you can request that the buro be served separately. Two variants of fried rice were then served. Tiago's version of Adobo Rice has adobo flakes and tidbits of green mangoes as topping. We love adobo rice. Is already a complete meal in itself. But it has an aftertaste that is nakakasuya, nonetheless we love it. By adding green mangoes, Tiago was able to remove the suya aftertaste. Quite simple, but very brilliant! Next is the Tinapa Rice. Nothing really fancy about this fried rice. 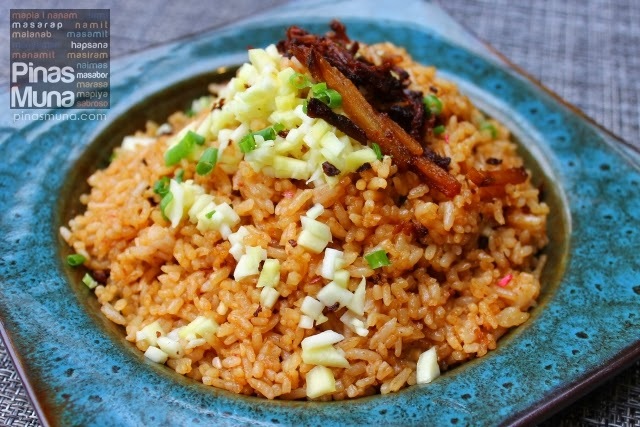 It is simply fried rice cooked with garlic and flakes of fish tinapa (smoked fish). The flavor is very well balanced. The flavors of the garlic and the tinapa are not too overpowering. I actually enjoyed the tinapa rice paired with the inihaw na tilapia roll. The main dishes finally came. Tiago's Sisig is not the usual greasy sizzling version served in many Filipino restaurants. Tiago's Sisig is made with pork cheeks and nape, mixed with onions and flavored with chili and calamansi. It is then served with blanched talbos ng kamote. Again, another well balanced flavor for a sisig. Not too salty, not too sour. I don't usually enjoy eating sisig because of the fear of increased blood pressure. But because Tiago's version of sisig is not greasy at all, it's one sisig that I enjoyed. Its sour calamansi flavor also helped eliminate the suya aftertaste. Oh, and yes, the talbos ng kamote is a perfect match to this dish. 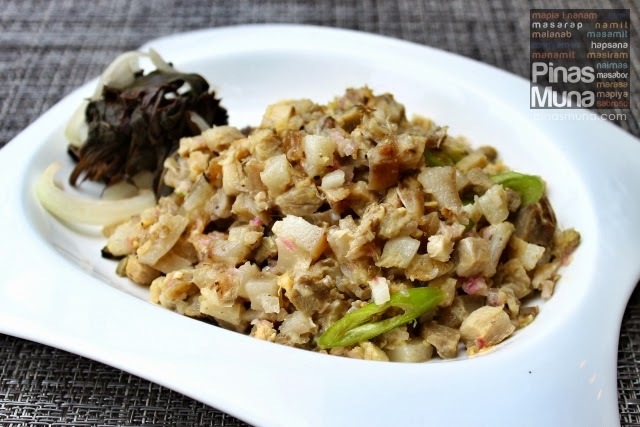 The leafy taste balances further the flavors of the sisig. Highly recommended indeed. The Pinausukang Chicken and Pork is no doubt the plat de resistance! According to Sigrid, the preparation of this dish takes three to four hours of continuous smoking. Yes, as the name suggests, this dish is pinausukan (smoked), and the whole process happens right at the restaurant's kitchen. So you will be assured that this dish is cooked fresh everyday. Because of smoking, all of the flavors are locked into the meat, and the slow cooking process makes the meat very tender. Tiago uses what they call as Mindanao adobo sauce as the base flavoring of this dish. It is basically a sweeter version of the usual adobo sauce. We like the chicken breast and pork trotter combination. The chicken wasn't dry but juicy. 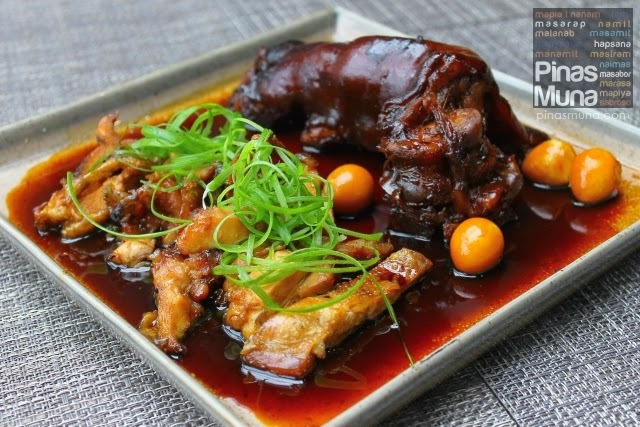 The pork fats that melted their way out of the trotter and into the sauce also added to the overall flavor of the dish. 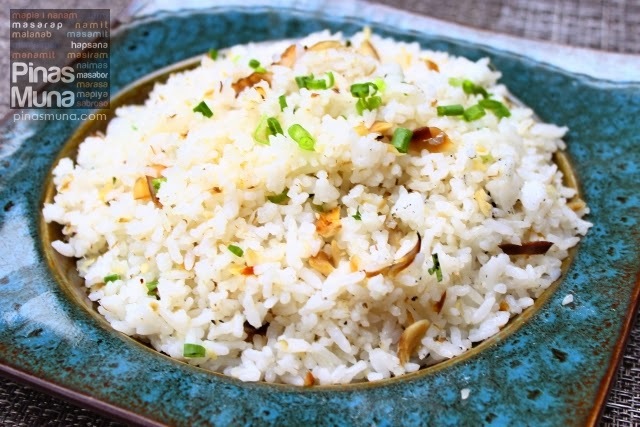 To better appreciate this dish, have it with plain rice instead of fried rice. Pinausukang Chicken and Pork is really a must-try when you visit Tiago. For the finale, we sampled Tiago's desserts. Suman is an all-time Filipino favorite snack. Tiago turned this unassuming kakanin into an interesting dessert. 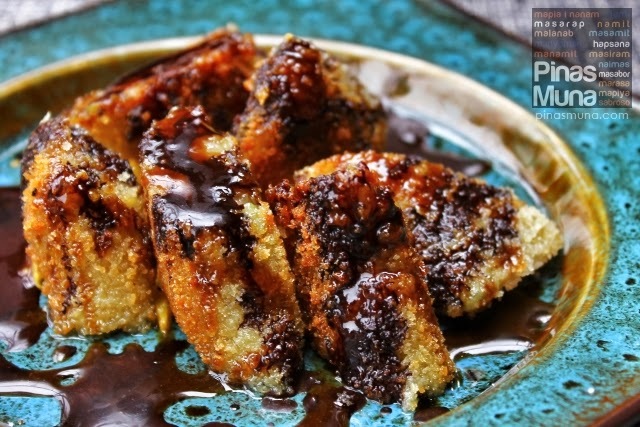 Their version of Suman has the suman pieces breaded and fried, and are then placed on a bed of mango slices, and then topped with tablea chocolate sauce and latik. This is good for sharing and is best enjoyed with a hot cup of brewed coffee. 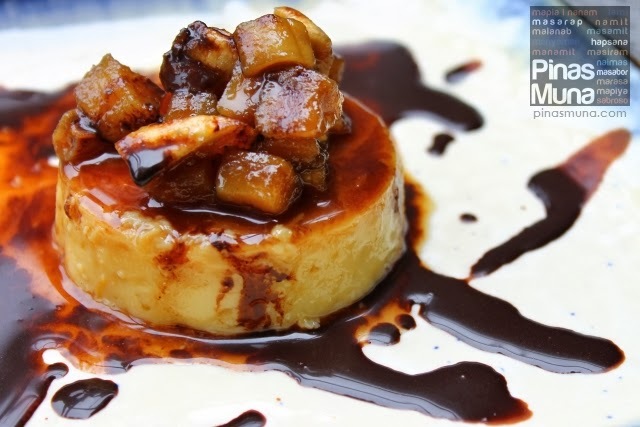 Lastly, Tiago's very unique version of Leche Flan. What makes it unique is that they don't use milk to prepare this flan. Instead, they used coconut milk. The flavor is really interesting, it has the texture of the leche flan but has the gata flavor. It is then topped with sweetened sago and saba. It was an interesting blend of dessert flavors and textures. 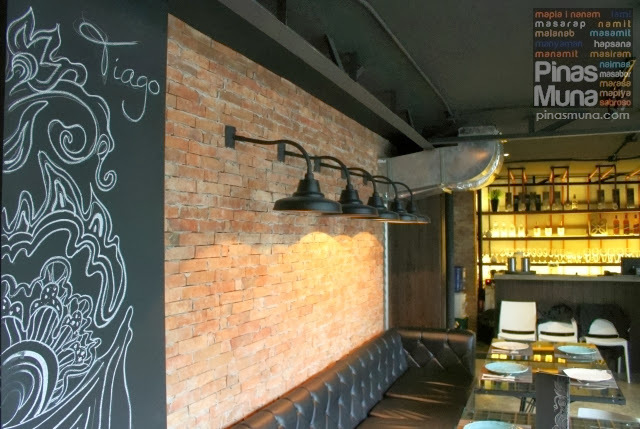 We really enjoyed dining at Tiago. It was like falling in love with Filipino food again. We invite you to come and experience Progressive Filipino Cuisine at Tiago. Make sure to bring your family or friends. Good food become better with good company. 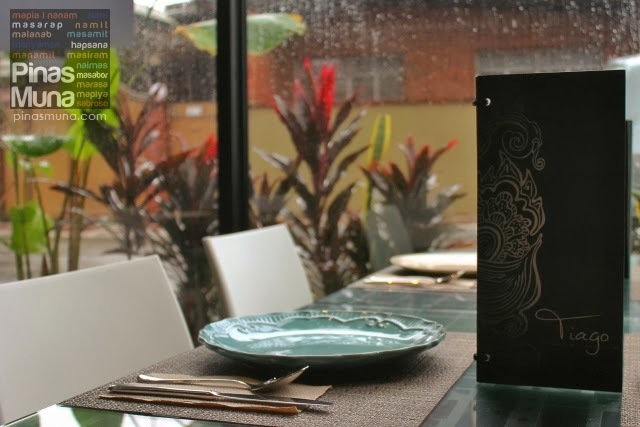 But if you are planning to go on a solo food-trip, Tiago's Lunch Selections is for you. 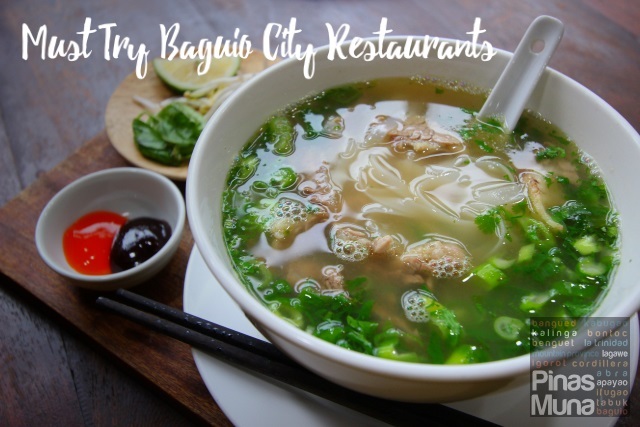 For P200.00 you can enjoy a complete meal with a choose of Tiago's sumptuous dishes which already comes with rice and a glass of tanglad iced tea. Lunch Selections are available Tuesdays to Fridays, from 11:00am to 2:00pm only. 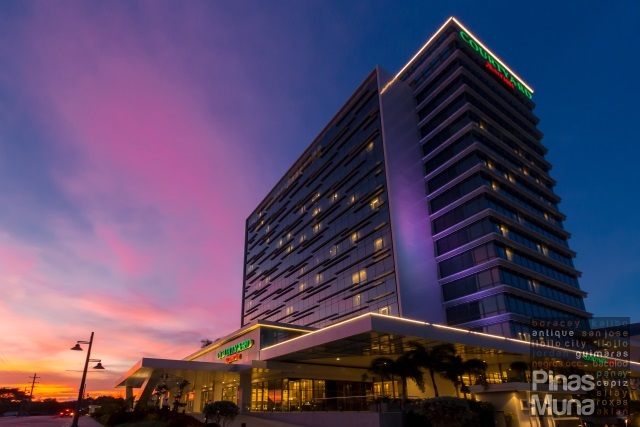 Tiago is located near the corner of Scout Fuentabella Street and Tomas Morato Avenue in Quezon City. 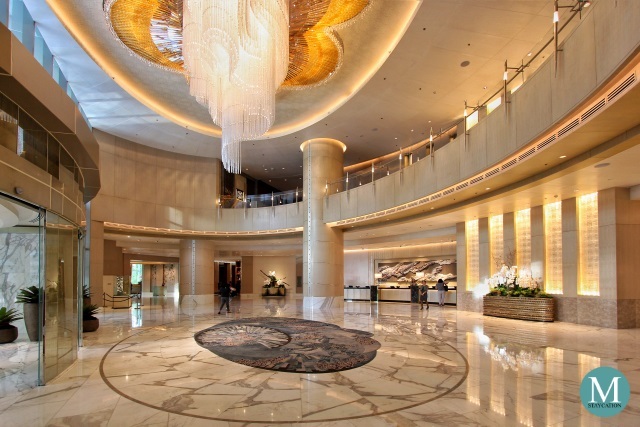 They are open Tuesday to Sundays from 11:00am to 11:00pm, and are closed every Monday. You can check their menu on their website www.tiagocuisine.com. For reservations, you can contact them at 6684240 / 09994296747 or email them at tiago.cuisine@gmail.com. For updates, like them on Facebook (facebook.com/tiagocuisine) or follow them on Twitter (@tiagocuisine) and on Instagram (@tiagocuisine). It was a pleasure meeting you Ms. Sigrid Buendia and Chef Kenneth Villaluz during our visit. Many thanks for having us at Tiago. Thanks for the update, new contact numbers are now published.